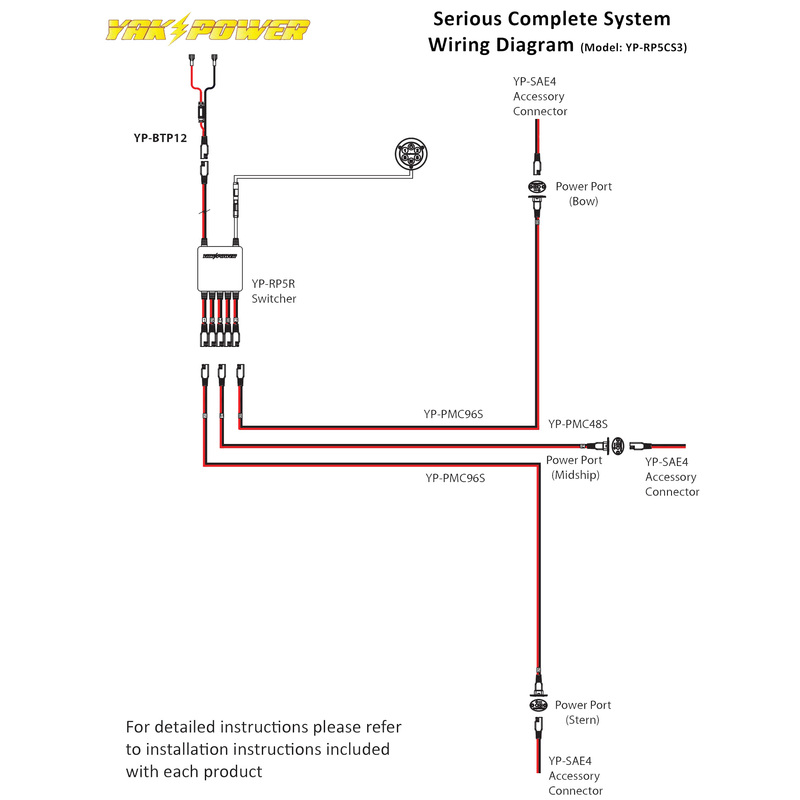 For anglers that are serious about rigging their kayak for electronics, this is the perfect complete plug-and-play wiring solution for adding and controlling 12-volt electronics on your kayak. It has our patent-pending Power Panel electronic control system with three Power Ports (bow, mid-ship, stern), a battery terminal pigtail and three Power Plug accessory connectors. You don’t need anything else other than a battery to power up your kayak, and connecting it all together is quick and easy with our plug-and-play connectors. We’ve even included two extra accessory outlets on the Power Panel switcher for LED lights or any other accessories you want to add.